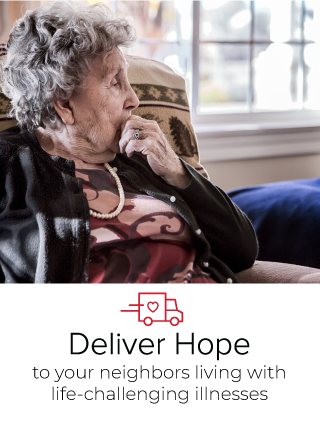 Anyone can get sick, and everyone can help. 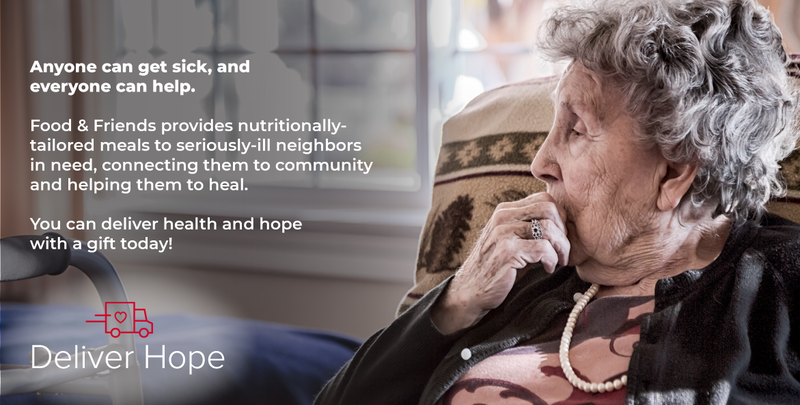 Food & Friends provides nutritionally-tailored meals to seriously-ill neighbors in need, connecting them to community and helping them to heal. 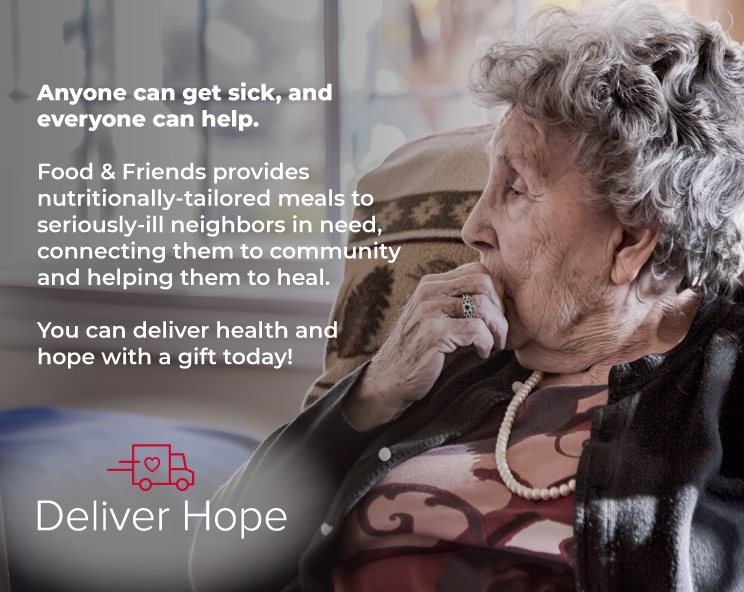 You can deliver health and hope with a gift today! Would you like us to send a notification about your gift? Separate multiple addresses with a comma or a new line. Yes, I would like to send an eCard. Separate multiple addresses with a comma or a new line. Please make sure your pop-up blocker is disabled. If you donate and have not already registered, you will receive periodic updates and communications from Food & Friends. Join our Bread & Butter Club by contributing per month.